With GTA Siding & Aluminum, refresh the exteriors of your property with modern sidings that match your personal style. Count on our professional installers to provide you with a perfect look that you’ll love! From the materials we use to the team we employ, we take great pride in the quality of work we do for our customers in the Greater Toronto Area. Thanks to our extensive experience and in-depth knowledge of the industry, we can bring durable, low-maintenance siding options for every budget! We believe that we're only as good as our last job. That's why customer satisfaction is our priority in every home siding project, regardless of size and complexity. At GTA Siding & Aluminum, we provide excellent craftsmanship and highly durable siding solutions that not only meet your aesthetic needs but also protect your property’s fundamental structure. We are experts in siding, soffit, fascia, windows and doors and more! With a skilled professional crew, we delivers exceptional results on time every time! Big or small, we are willing and able to tackle your next project. Thanks to our extensive network of wholesalers, we pass savings on to you. Our Extensive, warranty-backed product selection will meet your unique preferences! 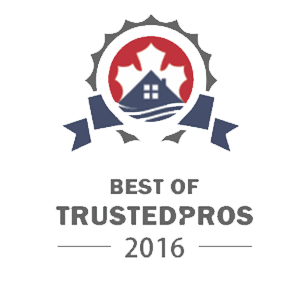 With our 2 million dollar liability insurance and WSIB insurance, you can trust your home to us. Does your old siding frame fail to keep the moisture out?